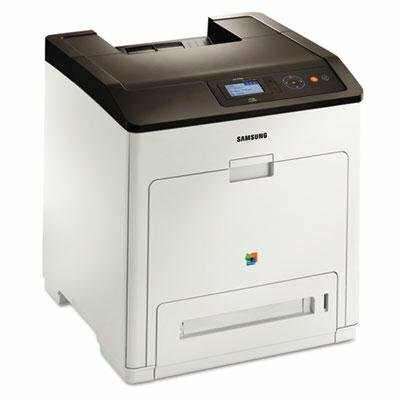 Samsung - Clp-775Nd Color Laser Printer "Product Category: Office Machines/Copiers Fax Machines & Printers"
Product prices and availability are accurate as of 2019-04-06 15:00:19 EDT and are subject to change. Any price and availability information displayed on http://www.amazon.com/ at the time of purchase will apply to the purchase of this product. CLP-775ND Color Laser Printer - Gain effective print productivity with this network-ready laser printer. - Print quickly in both black-and-white and full color thanks to efficient output speeds. - Produce better sharper output with Samsung ReCP technology that provides precise color trapping composite color reduction edge resolution enhancement and negative edge sharpening. - Easily handle large jobs and complex graphics thanks to the powerful processor and generous expandable memory. - Use automatic duplex printing to reduce paper consumption and costs. - Keep your information protected with security features like multiple layers of password protection secure printing and delayed printing. - Maximum Print Speed (Black): 35 ppm Network Ready: Yes Printer Type: Laser Print Resolution (Color) (Width x Height): 9600 x 600 dpi.